I ended up with this lip tint after deviating from some matte liquid lipstick formulation attempts—whatever I was trying wasn’t working at all as a matte liquid lipstick, but I saw promise somewhere in a tiny cup of highly bleed-prone liquid for a tint rather than a lipstick. I loved the consistency and the feel, but the first few versions I made were so dang pigmented that they just went everywhere. They oozed vibrant red off my lips and up towards my nostrils (and all over my teeth! ), and thanks to the low viscosity of the liquid steering was pretty much out of the question. So! A lower pigmentation concentration was in order. 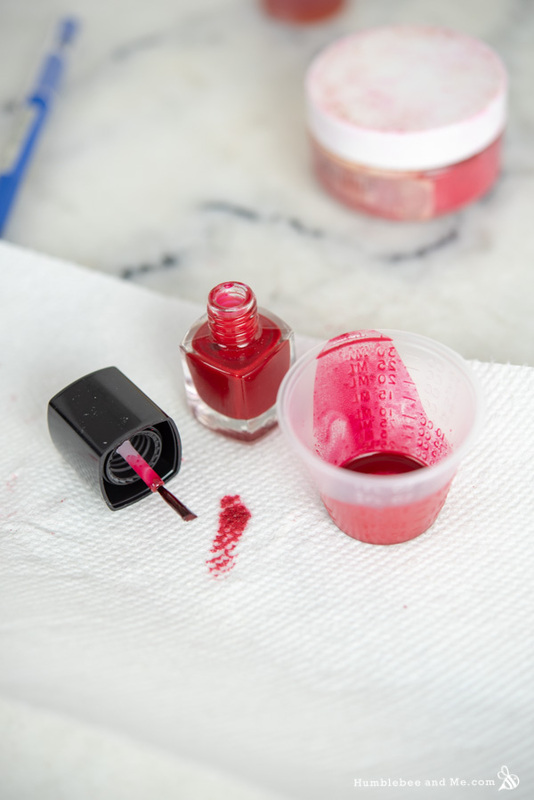 For all my liquid lipstick experiments I’ve been using these fantastic little plastic mixing cups I got from Voyaguer for mixing nail polish in. 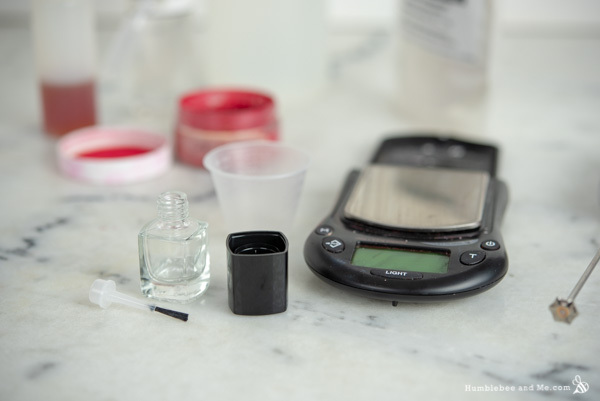 They’re lightweight yet strong, and the size makes them brilliant for mixing up 2–5g batches of things that would get utterly lost in my usual glass prep cups. 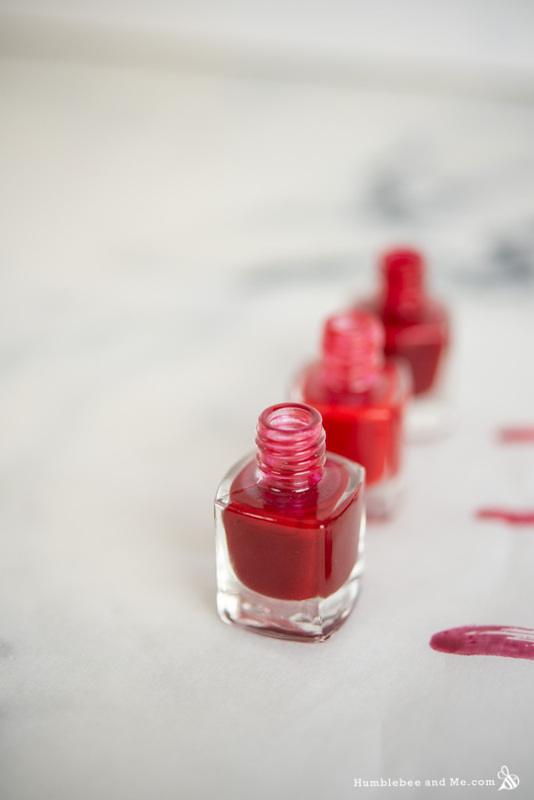 Since they’re flexible I can squeeze them to create a narrower opening for easy pouring, which is also very appreciated as attempting to send tiny amounts of highly pigmented liquids through a funnel (and then cleaning that funnel!) is pretty much a zero on the fun scale. I tried versions using both carmine and red lake dyes as well as red iron oxide. The carmine and lake dyes work beautifully, but I found the oxide version fell flat with little noticeable colour. 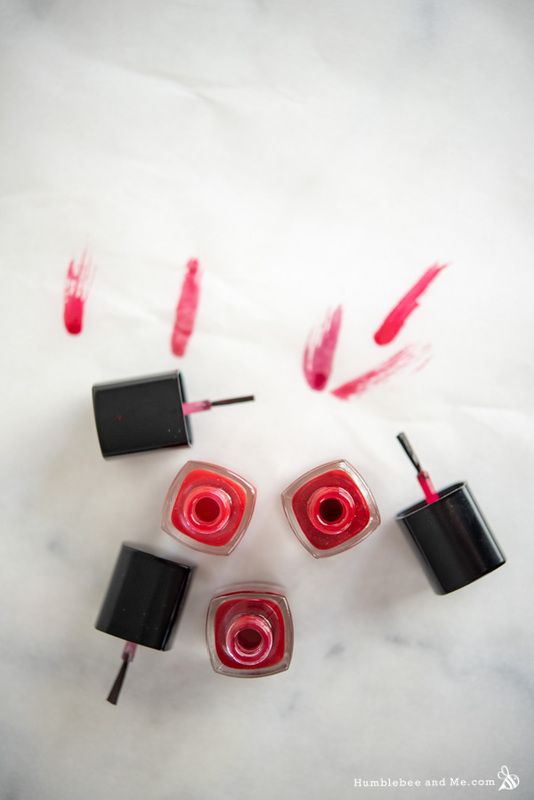 The strong brown undertones for the oxide are also undeniable; if you want a popping, classic red, you won’t get it from red iron oxide. 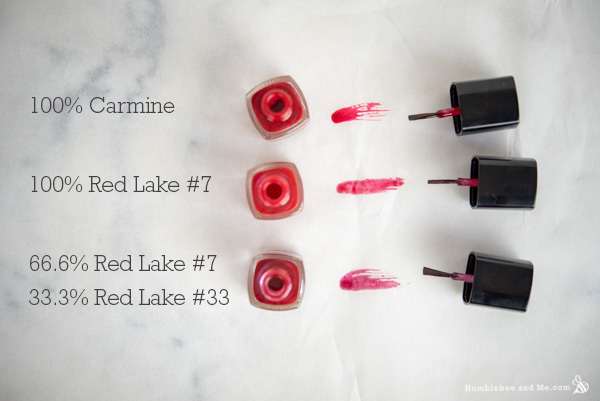 If you want a more natural option, carmine is beautiful, and if you want a vegan option, the red lake dyes are stunning, inexpensive, and available in a wide array of colours. The liquid base is simple: lightweight fractionated coconut oil and some isopropyl myristate to help everything set relatively quickly. Some thickening clay from TKB keeps everything in suspension fairly well, though it will settle a bit if you leave the bottle untouched for a week or so. Put on your dust mask. 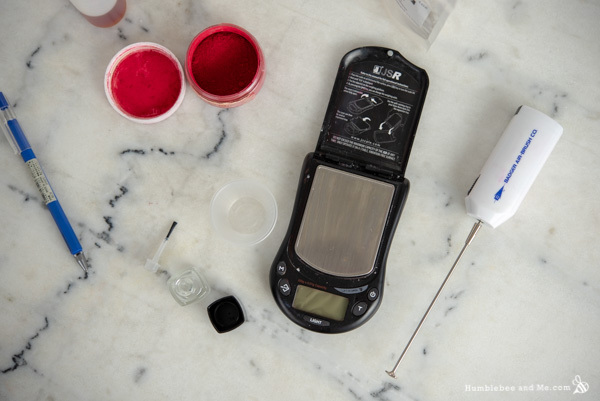 Weigh the red pigment and thickening clay into a small container—you’ll need an accurate scale (preferably one accurate to 0.01g). I weighed everything into a disposable plastic mixing cup for ease of cleanup, and because the cups are so light you don’t risk overshooting the maximum weight on your scale. 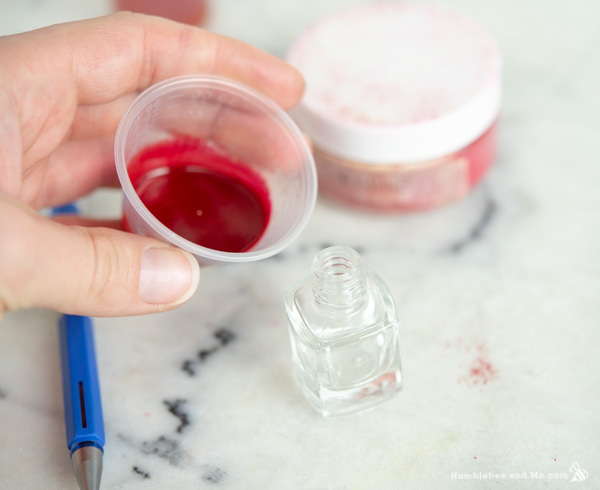 Use a little electric mixer (I used the MICROMini™ Mixer from Lotion Crafter) to blend everything together. If you don’t have a wee electric mixer that will work, I recommend adding the liquid oils a wee bit at a time and stirring with a toothpick to create a thick, smooth paste before slowly blending in the rest of the oil. That’s it! 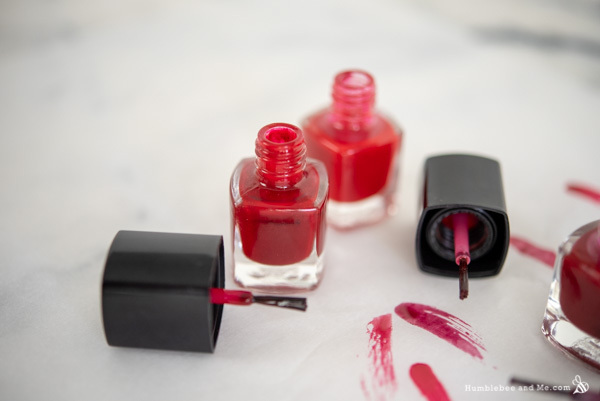 Transfer to your container; I recommend a wee 5mL nail polish bottle. 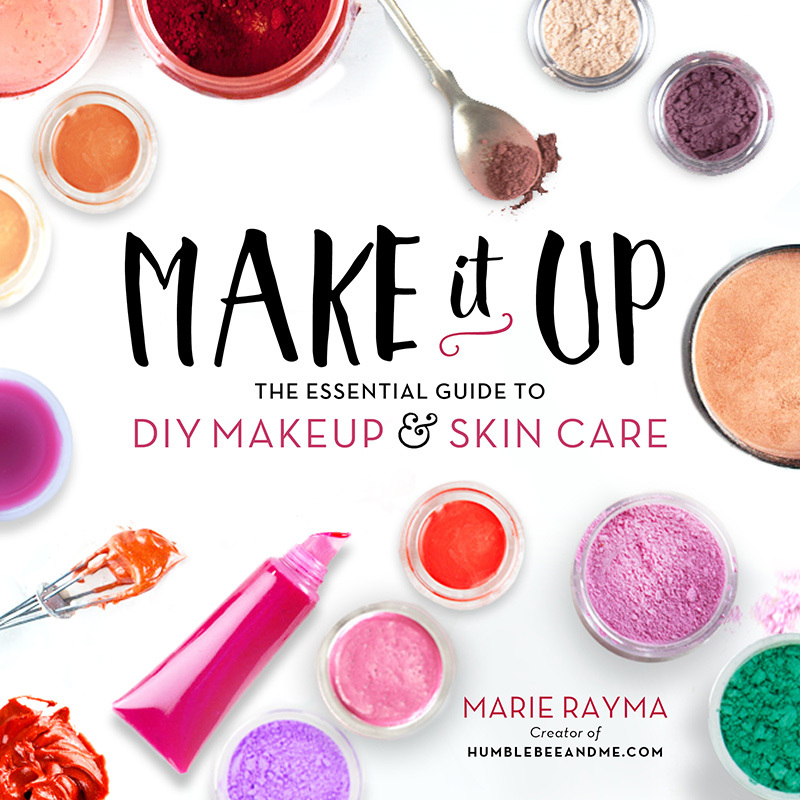 To use, dot a few drops onto lips and cheeks and blend in with a finger top. 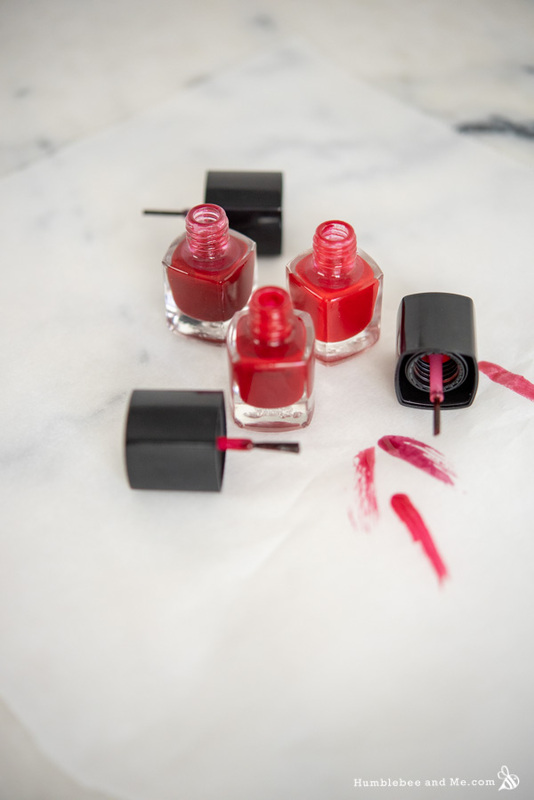 Because this tint does not contain any water, it does not require a broad-spectrum preservative (broad spectrum preservatives ward off microbial growth, and microbes require water to live—no water, no microbes!). Be sure to keep it dry to ensure it lasts as long as possible—don’t let any water get into the container and it should easily last a year. As I’ve provided this recipe in percentages as well as grams you can easily calculate it to any size using a simple spreadsheet as I’ve explained in this post. As written in grams this recipe will make 5g (and that’s a lot!). 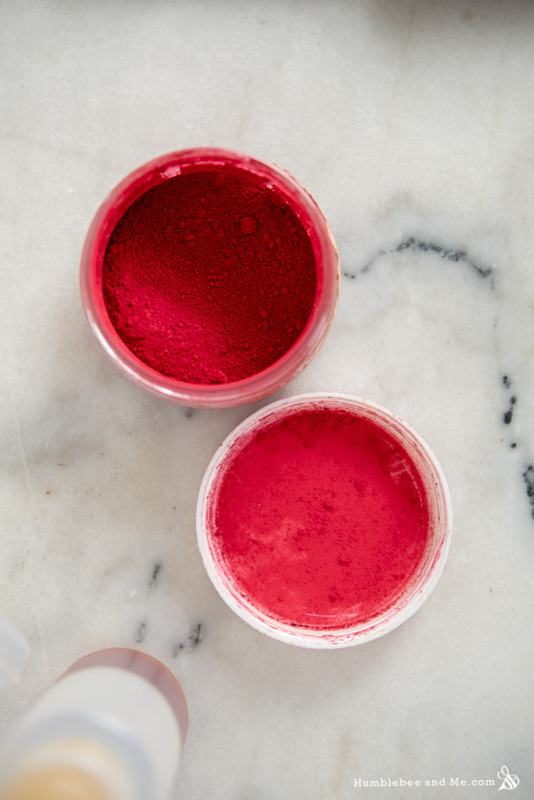 You can use carmine (natural) or a lake dye (vegan). Red lake dyes come in a wide variety of colours, so using a lake dye gives you a broader colour palette to work with. If you don’t have thickening clay I’d recommend using calcium carbonate in its place, or 50/50 kaolin clay and silica microspheres. 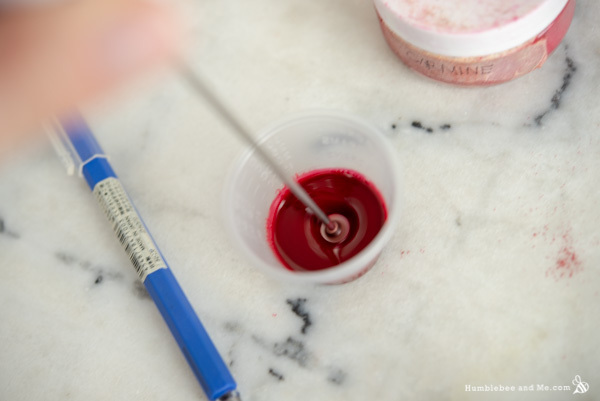 With either of these substitutions you will find the pigment settles out of the product quite quickly and needs to be shaken before use. You can use a different lightweight oil with a long shelf life in place of the fractionated coconut oil. Olive squalane would be a good choice. Cyclomethicone or isododecane would be a good alternative to the IPM (isopropyl myristate). Otherwise, use more of the liquid oil. 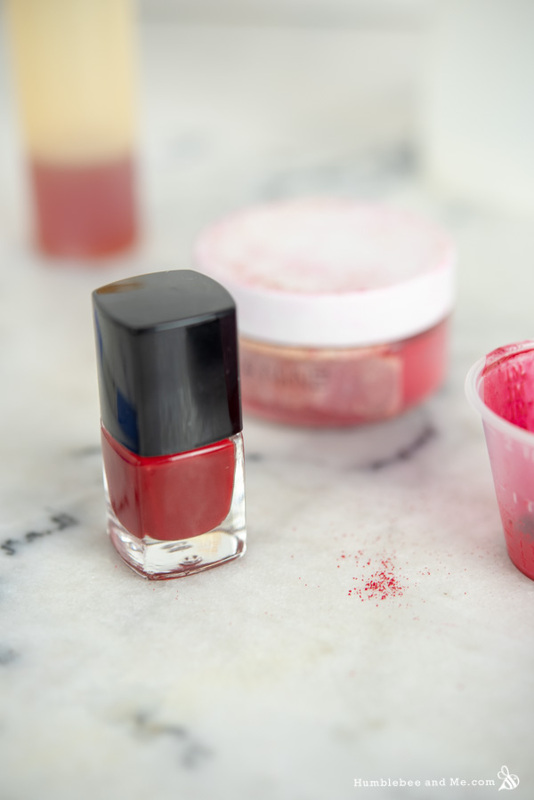 If you find the amount of IPM is too drying for your lips you can reduce it, making up the difference with more liquid oil. Have you found a source for thickening clay in Canada? Can something else be used in it’s place? Sadly not—I’ll have to see if I can get Michele to bring it in! Never mind. I missed your comments about that! Hey Marie! I’m pleasantly surprised by this recipe! I really love the first batch I’ve made and I’m looking forward to seeing how it wears. I was a little unsure, as I have liquid lake dyes and powdered Carmine. I lowered the amount of oil a titch and used the liquid. I also had isododecane but not what was in the recipe. And yet, it’s awesome! I also put it in a small roller bottle, because that’s what I had. So many enjoyable weekend days making, tweaking and experimenting thanks to you! Let’s talk about mini measuring spoons.